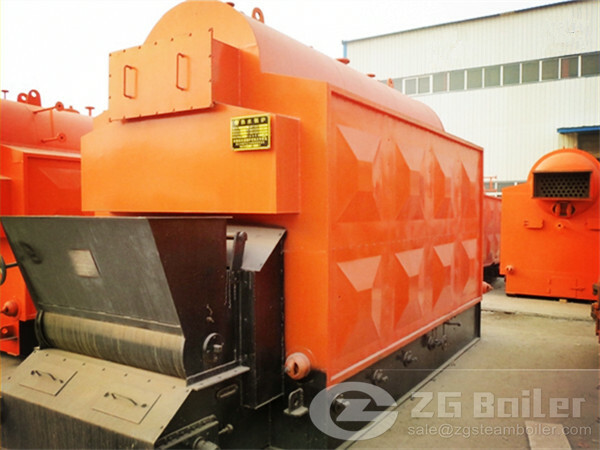 Zhengzhou Boiler Co.,Ltd as a well-known 10 ton coal fired boiler supplier insists on the principles of “technology innovation, quality foremost” costantly. It pay much attention to the introduction of new technology and development of new products.10 ton high technology coal fired steam boiler is an innovation for boiler industry. 2.With ripple furnace to ensure higher safety. 3.With threaded smoke tube to faster heat conducting and improve the heat efficiency. 4.The front and back smoke tube box are sealed with many levels to guarantee no smoke leaking. 5.The boiler control system can lastingly work under the high temperature and high humidity environment. 6.Bigger steam room and better steam quality. 7.Multiple interlock protection like water level, steam pressure and gas pressure etc..
8.The boiler is covered with efficient insulation material to avoid heat loss. As for the subject of technology innovation, we hope to give customers more satisfied coal fired boiler. 10 ton coal fired steam high technology boiler is one of gifts for customers.